Liverpool got the rub of the green again on Saturday, while there was a ‘blatant’ penalty missed at The Amex which left Brighton fuming, all in Ref Review. It was another impressive display from Ole Gunnar Solskjaer’s Red Devils and the icing on the cake was Paul Tierney awarding them a penalty when 2-0 up and thus a chance to put the game to bed against the Cottagers. Juan Mata was brought down by Maxime le Marchand and while a tad soft, it was a foul and crucially happened right in front of Tierney. 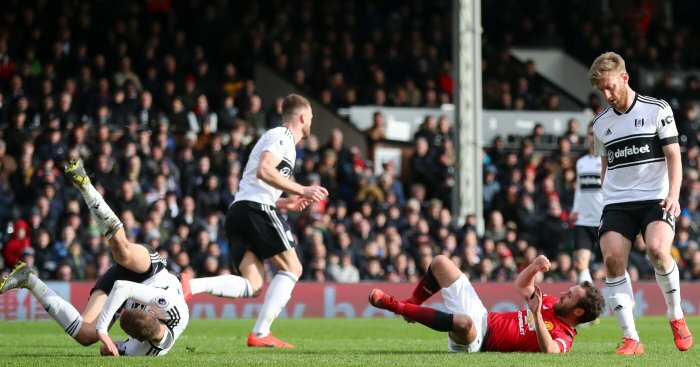 A last-minute display of ‘handbags’ saw the Fulham striker and United ‘keeper booked. They had a bit of previous as Mitrovic caught the Spanish keeper with a late one in the first half. At 3-0, in the dying embers of the contest, it was all a bit unnecessary and unsavoury though and neither player can complain about being carded. A great little run and header from Sadio Mane lifted the roof at Anfield on Saturday as the Reds arrested a recent slump to put them back in box seat at the top of the league. However it looked as though Sane was just a little bit ahead of the last defender when James Milner whipped the cross over and so by rights should have been called offside. The fact he wasn’t means Liverpool have had the rub when it comes to offside decisions for two consecutive games now, with Mane scoring on both occasions. 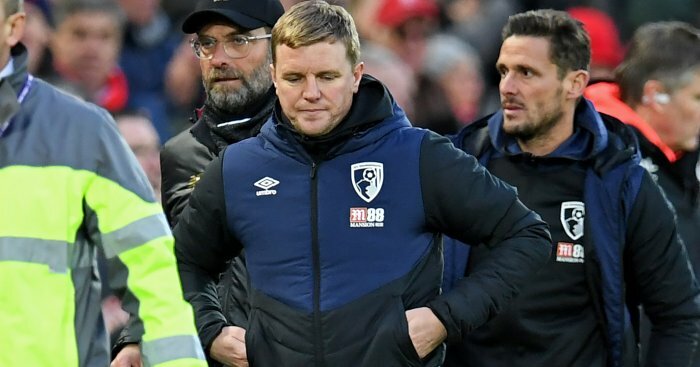 Eddie Howe describes Liverpool’s first goal as “half-a-yard offside” and “a huge turning point” and we are inclined to agree. Adam Smith showed super feet down the right to get the better of Andy Robertson and find a way into the area. He was then just about to cross but Robertson got back to poke the ball away. Smith wanted a penalty for his troubles, but Anthony Taylor said ‘no dice’. To compound things, Smith then fouled Robertson and picked up a booking. Huge moment in this London derby when, with the game in the balance at 0-0, Vicente Guaita flattened Michail Antonio in the area. A clear spot-kick that was duly converted by Mark Noble. A bad afternoon for Everton that somehow got worse after the full-time whistle. 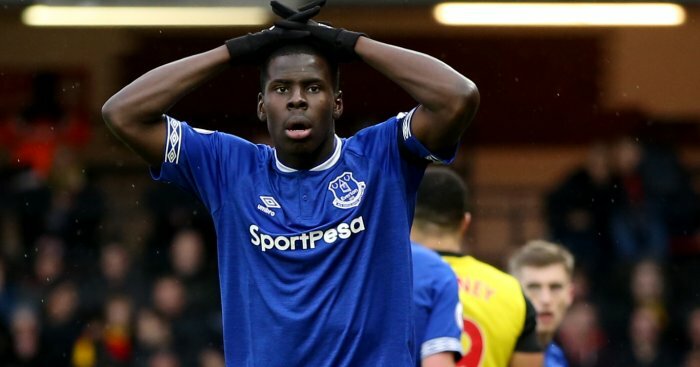 It’s three defeats in a row now for the Blues, who have also lost five of their last six, and there cause has not been helped by the one-match ban Zouma is now going to have to serve. The big defender was sent off for two counts of dissent immediately after the game ended, with ref Lee Probert taking exception to Zouma’s protests immediately after the 1-0 defeat . Obviously only the officials will know what Zouma actually said, but it was pretty brainless stuff to run up and confront the ref in the manner in which he did. We are still at a loss as to how Stuart Atwell and his team have missed a clear handball by Jeff Hendrick in the box on Saturday with Brighton trailing 2-0. This really was a shocker. An obvious penalty as the Burnley man manoeuvred the ball in the box with his arm, and it was pretty outrageous how the officials missed it. VAR has had its critics, but it surely can’t come soon enough to prevent huge calls like this being botched? No excuses from Atwell, who was well placed but dropped a clanger. Literally seconds after Hendrick got away with illegally using his arm in the area, Burnley went up the other end and won a penalty of their own when ex-Seagulls striker Ashley Barnes hit them on the counter before being felled by Mat Ryan. Typical isn’t it? You wait 68 league games for a penalty, then two come in the space of a week. Hugely contentious moment early doors at Wembley on Sunday after Heung-min Son was booked for simulation. He went down inside the box under a challenge from Harry Maguire and was perhaps a little unlucky to see yellow. Maguire definitely had a nibble and left a trailing leg. Penalty? Maybe. Yellow card? Absolutely not! Not according to Michael Oliver, the same ref who denied Son a penalty v Liverpool. For a brief moment Alan Smith in the Sky commentary box was wondering out loud whether Davinson Sanchez’s opener was offside, but then quickly back-peddled after replays confirmed Sanchez was OK and it was actually Moussa Sissoko walking back – but not interfering – in an offside position. Delicious ball from Christian Eriksen and a fine finish from Sanchez. Spurs were not happy about this award but there was definitely a coming together between James Maddison and Jan Vertonghen and Michael Oliver was well placed and in no doubt. Chelsea were torn apart by Manchester City on Sunday and it really was men against boys. 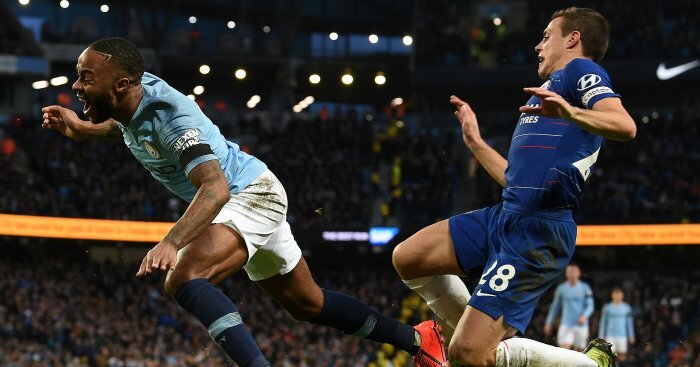 Their fifth goal came courtesy of a penalty after Cesar Azpilicueta brought down a rampant Raheem Sterling in the box. Sheer pace and determination took Sterling clear and it was a clear foul. 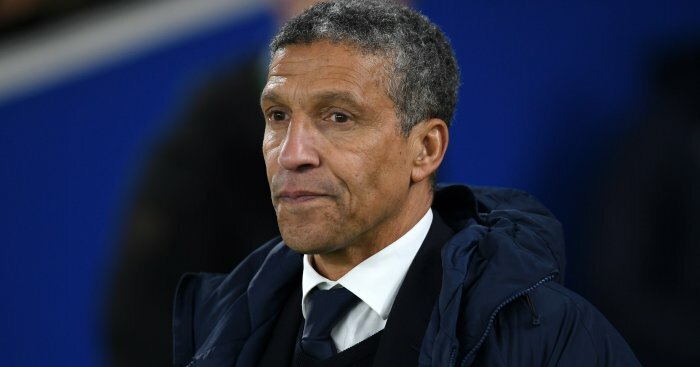 Seagulls boss Chris Hughton blasted Stuart Atwell and his team for not spotting what he described as a “blatant” penalty at the Amex. It was a huge non-decision that was magnified as immediately after Hendrick clearly handled in the area Burnley broke away and were awarded a penalty of their own – which was converted – to essentially end the match as a contest at 3-0. Sean Dyche, who has been very vocal about officials and penalties in particular in recent weeks, for once didn’t have much to say on the subject afterwards. Azpilicueta was utterly destroyed by Sterling at the Etihad and he conceded one of the more obvious penalties you are going to see this season after hacking down the England man in the box. Mike Dean’s stance as he pointed to the spot was pure Bollywood by the way. 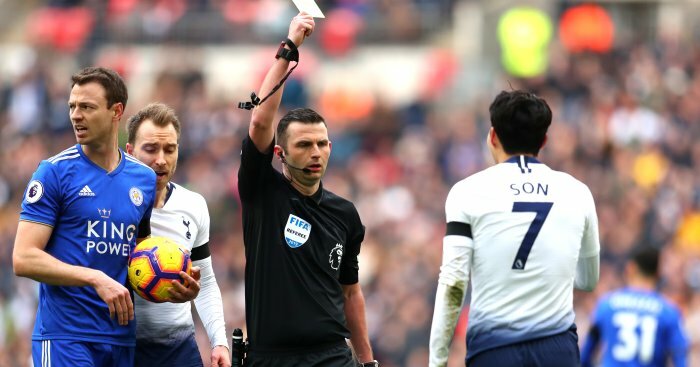 The post Ref Review: Liverpool get another helping hand; Michael Oliver questioned appeared first on teamtalk.com.